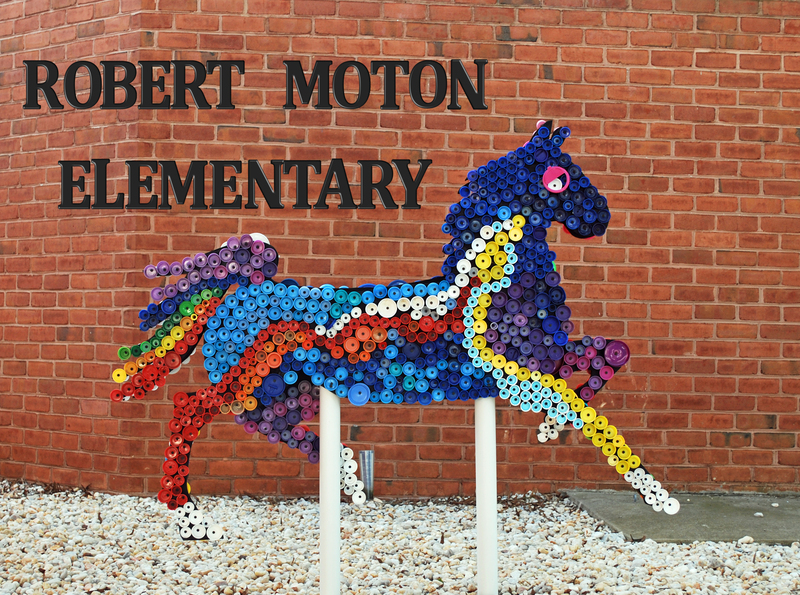 Blog | Robert Moton Elementary PTO | Help us help the school! Help us help the school! The Robert Moton Spirit Wear store is open again for orders! If you missed out on fall ordering or need new shirt or sweatshirt now is your chance! Please start sending in your Box Tops. Every Box Top earns us $0.10 and they really do add up! Print a collection sheet now. Collection sheets will also go home in folders next week. Orders are due by Friday, Oct. 26. We’re excited to announce that we have teamed up with Our Community Coupon Book to raise money to finance our programs and projects to help make our school better. We picked this as a fundraiser because when we saw the coupon book and recognized almost all the businesses the coupons are for, we knew it was different than others we’d seen in the past. Orders are due Monday, Oct. 22. Thank you for supporting the school and the PTO! Our next general PTO meeting is Monday, June 4th at 7pm in the RME Media Center. Please join us as we close out the year, decide what worked and what didn’t, vote for new board members and begin the discussions for next year. Help us decide which family events and fundraisers to do for the 2018/19 school year! Do you like party planning? Can you take notes during meetings? Do you want to make a difference in our school? We need you! We are seeking a secretary board position for next year. The nomination form is on our website and you can nominate yourself! Please send us an email if you have questions. We always work as a team to get everything planned and done! RME PTO is hosting a family-friendly, fundraising, GLOW DANCE! We will have black lights, and feature a DJ from First Dance Entertainment – who will energize the night with hit songs and fun lighting! We will also have tons of great glowing accessories and pizza for purchase. There will also be a “Parent’s Night Out” raffle basket. This event is going to be a blast! Proceeds go back to the PTO to plan future family fun nights and spoiling our wonderful teachers! We NEED some help organizing the Glow Dance! Grab a friend, search on Pinterest, and help us create something awesome! We still need some more help setting up. The dance won’t be as fun without your help! Our Spring Yankee Candle Fundraiser has begun. Order forms and catalogs will be coming home soon. All paper orders are due back to school by Tuesday, April 3, 2018. Please see the attached letter explaining online ordering, which is available until July 11th! Please help support Robert Moton! Justin Berk, Meteorologist, is coming to Robert Moton! A winter weather assembly will be held in February. We are so excited to have him visit our school! “Faith in the Flakes” t-shirts will be sold prior to his visit. Orders are due to the school by January 30th. FITF shirt orders help PTO cover the cost of the assembly and $3.00 from every shirt sold goes back to the school! Shirt front: Robert Moton ES has Faith in the Flakes. Royal blue color.